Leading an automotive company has never been easy, thanks to tough competition within the sector and, especially recently, regulatory pressure on safety and environmental issues. But it’s about to get even harder, as radical technological change and shifting consumer preferences take their toll on existing business models. A revolution is coming, and today’s leaders need to prepare for the market challenges of tomorrow if they want to survive. On the technological front, experts are predicting the end of the internal combustion engine and the dominance of electric vehicles, while disruptive information technologies are making autonomous driving a reality. In terms of consumer preferences, the growing popularity of the sharing economy and Millennials’ disdain for car ownership is another challenge for the industry’s growth model. Although it’s difficult to say how drastically the automotive industry will change in the next few years, we can predict that growing environmental pressures will force automotive leaders to change the very core of their businesses. The European Commission defined the protection of air quality as a “priority” and has already set binding emission targets for new car and van fleets. Additionally, major cities such as Paris and Stuttgart plan to ban diesel cars and invest in alternative methods of transport to limit air pollution. According to estimates from PwC, over 55% of all new cars sold could be fully electrified by 2030, and 95% should be partially electric. 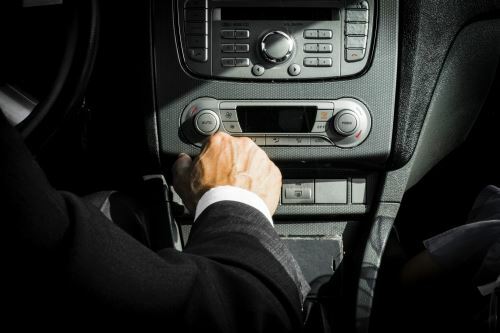 It is clear that the leaders of automotive companies must eventually adapt to this pressure; if they fail to replace internal combustion engines, traditional companies may fall behind their competition and end up as outdated as Nokia phones with physical keypads in a world of touch-screen smartphones. However, electrification may turn out to be a bigger challenge than it seems. As Robert C. Wolcott of the Kellogg School of Management noted, “the existing corporate structures are rarely fit for journeys to fundamentally different technological and business model territories.” The transition from one technology to another will mean that prevailing solutions that enable the industry lose their value. The leaders in the automotive sector will have to balance the need to electrify their vehicles with the battle against shrinking margins. Cars of the future – where’s the revolution? In addition to the environmental pressure, another challenge will come from the disruptive technologies that are slowly taking over the automotive industry. Companies such as Apple, Ford and General Motors are testing driverless cars, and the IT lobby in California has already convinced regulators to relax the rules on the use of autonomous vehicles. Despite the recent tragedy in Arizona, where a self-driving Uber car killed a pedestrian, the cars of the future will become partially or fully autonomous. The increasing digitalisation of vehicles means that the car of tomorrow will be defined by its software rather than its hardware. The increased diffusion of advanced technologies poses significant challenges for traditional automotive companies. Car manufacturers will be forced to compete on multiple levels with startups and tech giants like Google and Tesla. Innovative software services will range from in-vehicle content to safety and location-based services. Studies already show that companies that invest their research and development budgets in software solutions grow faster than their competitors. This indicates the strategy that automotive leaders need to adopt in order to survive on the changing market. The new approach will require automotive leaders to reconsider the entire structure of their businesses to accommodate new trends. McKinsey analysts propose increased communication within the company and a two-speed R&D model that will “catch up with short-term market trends and enable lifecycle product upgrades”. Successful executives will also have to learn how to strategically co-exist in the new technological ecosystem, cooperating intelligently with their competitors. This could mean the merging of old and new technologies, as Delphi Automotive did when buying the self-driving car startup nuTonomy for $450 million. More cautious leaders will make use of technology platforms, such as OSR, that integrate disruptive technologies into established products and solutions. The sweeping success of companies such as Uber and growing interest in autonomous cars highlights another important area for executives: changing consumer tastes. PwC points out that we are currently experiencing a fundamental shift in individual mobility behaviours. Private-car ownership is declining, and the number of people holding a driving licence is falling as well. In urban areas, the change is being driven by younger, technologically savvy generations that are less willing to invest in cars, and more likely to welcome new mobility solutions tailored to their needs. That’s pushing up demand for new services such as the ride-hailing offered by Uber. In the interconnected world cars are losing their value as status symbols. As the industry’s customers increasingly become users of vehicles, not buyers, executives have to realise that their old business model may soon be irrelevant. Tomorrow’s successful automotive executives will have to find creative, relevant ways to participate in the sharing economy and counteract dropping sales. Improving software, increasing B2B sales, partnering with car-sharing companies and developing autonomous driving on-demand are areas that demand attention from those who aspire to lead the automotive industry of tomorrow.